Unsurprisingly, the Pascucci cappuccino I made at home this morning can’t even begin to compare to those made by Pesarese baristas. Who was I kidding? 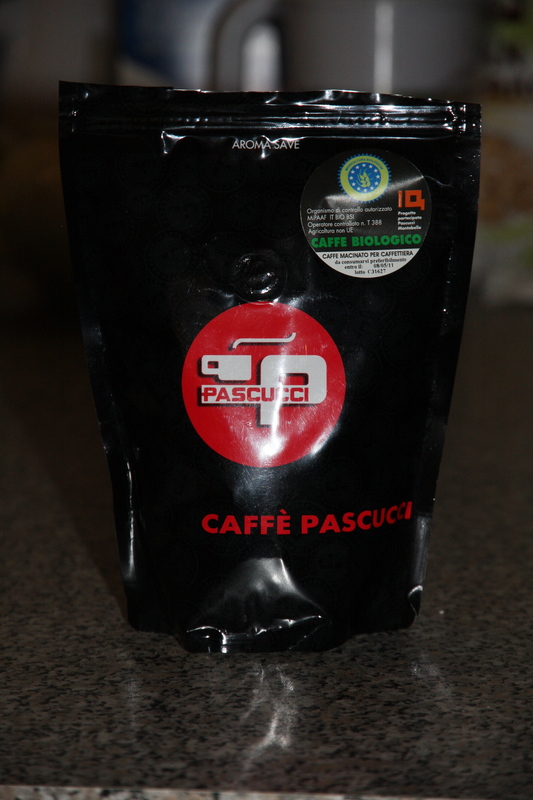 The Pascucci espresso did taste better than other brands I’ve tried, but even after frothing the milk and using my favorite sugar—Sugar in the Raw—it just wasn’t the same. I simply cannot replicate the delicate yet rich flavor of the espresso pulled in the cafés (the process gets muddled in my caffettiera and always tastes slightly more bitter) and the foam is definitely not frothed just right. However, just because my experiment failed, that doesn’t mean it wasn’t a good cup of coffee. I’ll leave the cappuccinos to the professionals, but quality espresso is still quality espresso, and it was a nice way to start the morning. This entry was posted in cappuccinos, coffee and tagged cafes, capuccino, coffee, espresso. Bookmark the permalink. What a cute post! I agree, without professional machinery, a “cappuccino” is just about impossible to replicate! I am just having some plain black coffee this morning from Pannekin. Way better than Starbucks, that’s for sure! Interested to hear of another Marcheggiano brand – I thought Saccaria was the only one. Yes, it’s quite a delicious one, too!